>> Best Proofreading Software: Battle of the Apps! You’ve finished your article, your blog post, or your book. You know it’s time to edit your work. But, editing can be a pretty daunting task, and it can be difficult to be an honest judge of your own work. If you don’t have the time or money to invest into a traditional editor, then an online proofreading tool can be a great alternative. Especially, when you’re just starting out. There are a variety of online proofreading tools that’ll help to streamline the editing process and improve the quality of your writing. Here are five of the most commonly used proofreading tools, so you can decide which tool is the best fit for your writing workflow. TL;DR? Jump Straight to Each Review! Why Use a Proofreading Tool? Chances are you’re not a professional editor. But, what if you could turn to a professional editor every time you finished writing? Using proofreading software is like having an editor in your back pocket. Sure, it won’t provide you the same level of depth, or attention to detail. But, it can be a great place to get started. Sure, most word processors have basic spell checking included. But, this isn’t enough. Grammatical errors, sentence structure, flow, adverbs. All of these and more go right over our heads. A proofreading tool will actually elevate the quality of your writing by correcting these errors and providing you with detailed feedback to improve your writing moving forward. There are a variety of proofreading tools that have their respective strengths and weaknesses. Below we look at what each tool does best, so you can choose the right one for your next project. There are dozens of different proofreading tools currently on the market. 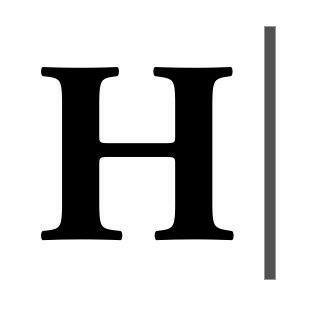 Each serves respective writing needs and have a variety of features to help elevate your work. Below we examine the top five proofreading tools currently on the market, so you can decide which tool is best for your writing needs. Grammarly is one of the most popular proofreading tools on the market. It’s helpful, easy to use, and very intuitive. All you have to do is copy your text into the tool and you’ll be able to fix any glaring spelling, grammar, and punctuation errors. Beyond the web app, it also syncs across any kind of writing you’re doing online. If you’re sending an email or writing a Facebook post, the Grammarly editor will be by your side, cleaning up your grammar no matter where you’re writing. Plus, there’s even a desktop app, and mobile app for those who send a lot of emails and text messages while on the go. The free version of the app will help you correct word usage, spelling mistakes, grammar errors like misplaced commas and a lot more. You’ll also get a breakdown of your overall reading level, and the vocabulary you’ve used throughout. They’ve also recently released a cool feature that lets you set goals for each document. You’ll set things like your intent, audience, the emotion of the piece, and what kind of writing it is. Premium version is costly. But the free plan is awesome! Extremely intuitive in both the free and paid versions. One of the best all-round options out there, though grammar is its main focus. Solid knowledge-base plus email. No live chat. The tool might look simple on the surface, but it can be a great choice for a final proofread. To unlock even more advanced features of the tool you’ll want to upgrade to the premium version. Grammarly is one of those tools that seems to be built for everyone. Whether you’re a student, business writer, novelist, blogger, or something else entirely this tool can help to improve your writing. Even the basic version will be enough for most writers. ProWritingAid is an editing tool originally developed for authors, that came to life back in 2012. But, far from being just for authors the tool now hosts writers of all types. 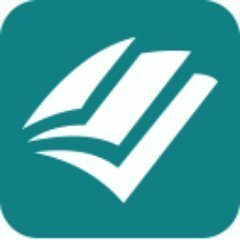 It takes a unique approach to proofreading in that the tool will take your writing and compare it to other exceptional writing in your genre. Plus, you’ll be able to learn as you edit your own work. You’ll get a detailed breakdown of your most common mistakes, so you can avoid them the next time around. Premium version is costly. But the free plan works fine! Learning curve can be steep. Not so easy. A different, yet genius approach. Email and FAQs. No live chat. This tool offers a nice blend of teaching tool and editing tool. It’ll help you improve the quality of your writing, without being obtrusive. But, the feedback can be a little detailed and overwhelming for some who just want a quick edit that goes beyond the standard spell-checking tools. Still, it’s a great tool that covers the place between finishing an initial draft and deciding to bring on a professional editor. The premium version of the software lets you analyse as many words as you’d like, along with letting you edit wherever you write. Or, if you use Google Docs to handle most of your writing, then you’ll be happy to hear there’s a ProWritingAid extension for that. 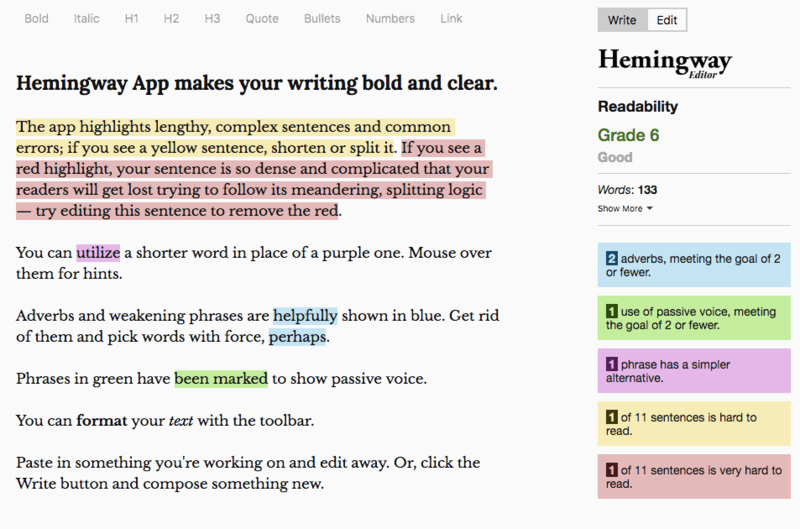 Hemingway is a neat little tool whose goal is to help you write like Hemingway. Not a bad deal, I know we’d all love to write prose like one of the best writers in history. 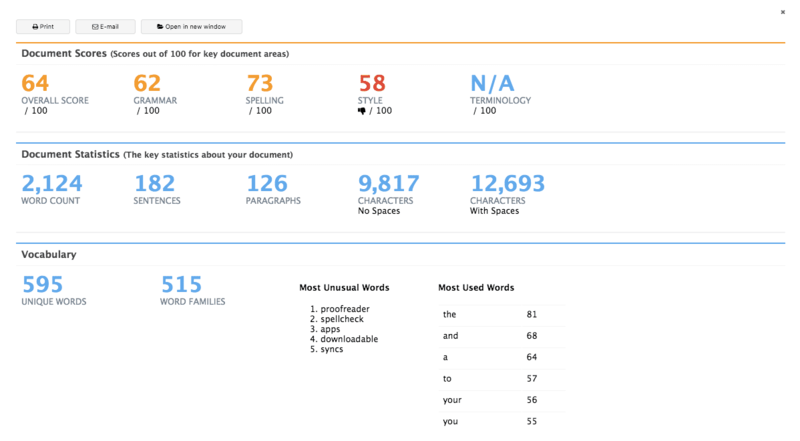 This app focuses on improving the readability of your writing. It’s available as an online app, or as a downloadable desktop version. However, the desktop version will cost your $19.99. But, if you’re doing a lot of writing, and prefer to do it with the wifi off. Then, this can integrate nicely with your writing workflow. Your goal is to have these numbers as low as possible. If you’re used to writing lengthy, complex sentences, then this tool will offer a lot of corrections. It will help you write with simplicity, and make it as easy as possible for your readers to digest your words. Premium version is cheap and the free plan works fine! Via email and a very short knowledge base. Hemingway is for the writer who isn’t concerned with grammar and spelling mistakes but instead wants to strengthen their writing. Since this tool’s focus is on cleaning up adverbs, removing passive voice, and cutting wordy sentences, it’ll make your writing bold and clear. This tool is invaluable to have in your writing toolkit. You can even combine this tool with other’s from the list to clean up your writing while taking care of grammar and spelling mistakes. Ginger is a proofreading tool that’s been around for over a decade, making it one of the longest-running editing tools. Some recent updates to the software have elevated it to one of the top tools in the space. 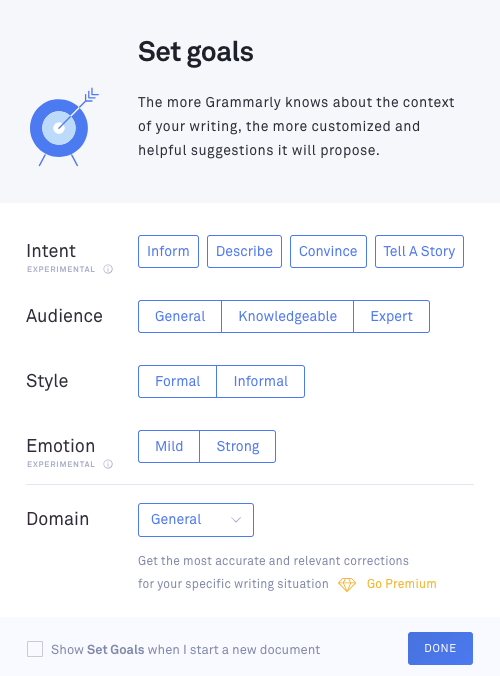 Other tools like Grammarly have a larger user base, however, the feature set is pretty similar. The free version works great as a proofreader and will pick up grammar and spelling errors while offering a useful sentence rephraser. It also has a personal trainer feature will help to identify and eliminate any weaknesses with your writing. But, the real power of Ginger comes to life with the premium version. For example, there’s a built-in text reader which will read aloud any text within a Word Doc, PowerPoint, website opened with Firefox, Chrome, and Internet Explorer, and even Outlook. This gives you a better perspective on the readability of your content and lets you catch errors you’ll typically miss. Plus, there’s a super useful translation feature that can translate your writing into 60 different languages. If you’re writing for a multicultural audience, or want to have portions of your text in different languages, then this feature is invaluable. Premium version is obviously the most feature-rich, and it's within reach. Video tutorials and email contact. Premium version also offers 'Genie', an online 'tutor'. Overall, Ginger offers a feature set that’s pretty similar to Grammarly. It’s intuitive, easy to use, and acts as a solid spell and grammar checker. Plus, since it integrates across most platforms a quick grammar check will never be too far away. This proofreader truly shines with its advanced features. The text to talk feature is a great way to improve the readability of your content. And the translator can be very useful for writers who need to write and publish across multiple languages. Plus, if you’re an avid Word user, then you’ll find the add-on invaluable. Whitesmoke truly shines in its ability to be everywhere. A lot of writers have a specific writing program they stick to, and it can be hard to break away from that. With an integrated tool, you can save a lot of time. Instead of having to copy and paste your work back and forth, you can do it all in one place. You can install Whitesmoke on your computer and this tool will show up wherever you’re writing. This tool will help to check your grammar, spelling, syntax, sentence flow, and even provide contextual recommendations. A lot of tools just provide a word-by-word breakdown of your grammar and spelling mistakes, but Whitesmoke provides a contextual analysis of your entire text. This will help to provide you with more accurate recommendations that’ll improve the quality of your writing. No Free version. Plus, premium plans are quite costly. Includes many features other software don't. But this comes at a price. Live chat, email contact. Loads of in-depth video tutorials. Once again, Whitesmoke packs some similar features to the proofreading tools above. It shines in its ability to integrate across multiple platforms, devices, and writing tools. Plus, it works with Google Docs, which is difficult to find with other editing tools. With its contextual grammar feedback, you may get more accurate fixes than tools that just look at your writing on a word-by-word basis. 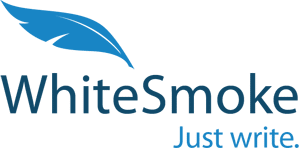 The premium version of Whitesmoke lets you install the software on your computer, so you can edit virtually anywhere with the click of a button. If you’re looking for speed in your editing, this will be invaluable. Maybe you’re just looking for a simple edit, and nothing as extensive as the level of editing the above tools provide. There’s a handful of other proofreading software that are used for more specific writing and editing needs. ​Word Rake — If you’re looking for an editing tool built for Word and Outlook, then Word Rake is one of the best. It will help to tighten up your writing, correct any grammar mistakes, and make your writing more readable overall. Jetpack for WordPress — If you prefer writing within WordPress itself, then you can take advantage of Jetpack’s built-in editing feature. This plugin has a wide range of features, but one hidden gem is it’s advanced grammar editor. You can customize exactly what you want the editor to look for and highlight in your content. Grammar Lookup — If you want a simple tool that’ll help to catch any spelling, grammar, and punctuation mistakes then try this web app out. It’s basically a more robust version of your choice writing software’s spell checker. 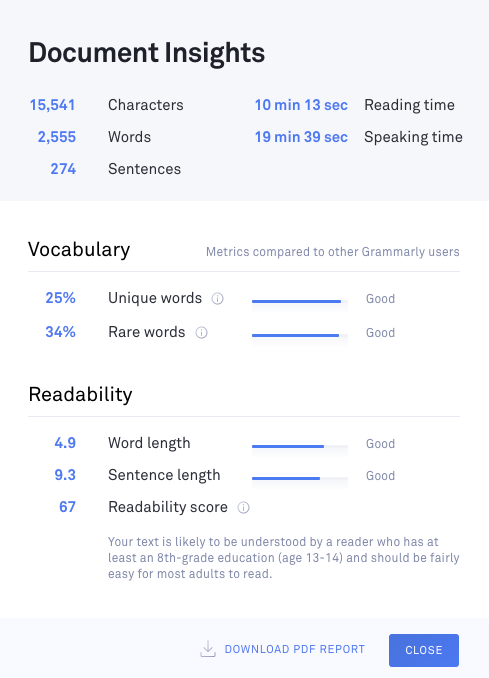 Paper Rater — This is a free online tool that’ll check your document for grammar and spelling mistakes, along with style and vocabulary improvements. Plus, there’s a built-in plagiarism checker, which is difficult to find in a free tool. Slick Write — Slick Write is a great free tool that provides fast grammar, spelling, and punctuation fixes. Plus, you can adjust the settings to provide customized feedback. There’s also an extension to add the tool to Chrome or Firefox. As you can see there are a ton of different proofreading tools you can use to elevate the quality of your writing. The proofreading software you’ll end up using depends on your overall needs. If you just need a quick grammar cleanup, then running your writing through the free version of Grammarly or ProWritingAid will do the trick. Or, you could even use one of the simpler tools in the section above. For more high-level editing work, then you’ll probably want to upgrade to one of the premium versions of the tools highlighted above. Personally, I prefer the combination of Hemingway App to tighten up my work, then run it through Grammarly for grammar and spelling cleanup. But the choice is yours! What’s your go-to proofreading software? Please share your favorite in the comments below! Lots to think about here – but you make it clear and concise.